If you take two of the biggest and best known characters in comics - Batman and Superman - and mix them together with a dash of intrigue and a touch of adventure this is the resoundingly successful result! After tracking a Kryptonite asteroid to Gotham City Bay, Batman discovers something mysterious and highly suspicious - it seems a space craft is somehow embedded in the rock! This craft is carrying someone who appears to be from Krypton and is, by all accounts, Superman's cousin, Kara Zor-El. But is she who she appears to be? 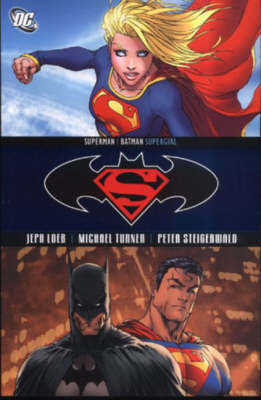 Showcasing the creative energy of two of the most respected creators currently working in comics - Jeph Loeb ("Batman: Hush") and Michael Turner ("Tomb Raider").